Sure, the kids could run through the rusty ol’ sprinkler you keep in your shed (think: “ouch! dad my eyes are burning!”). But if you want cool points with the fam you’ve got to THINK BIGGER man! 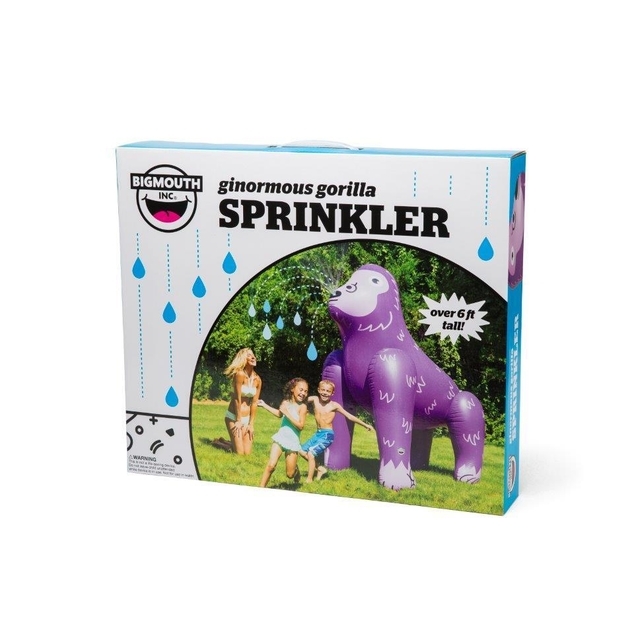 Take your summer game to the next level with our Ginormous 7-foot tall Ape Yard Sprinkler. It’s the missing piece to that epic birthday, pool party, BBQ, or family reunion you’ve been planning (or dreading). We made it super-simple to use, too. Just inflate it, and connect a standard garden hose. Turn on the water and voila!…water sprays out of the ape’s mouth and onto a bunch of happy people who were about to leave for “a prior engagement”. 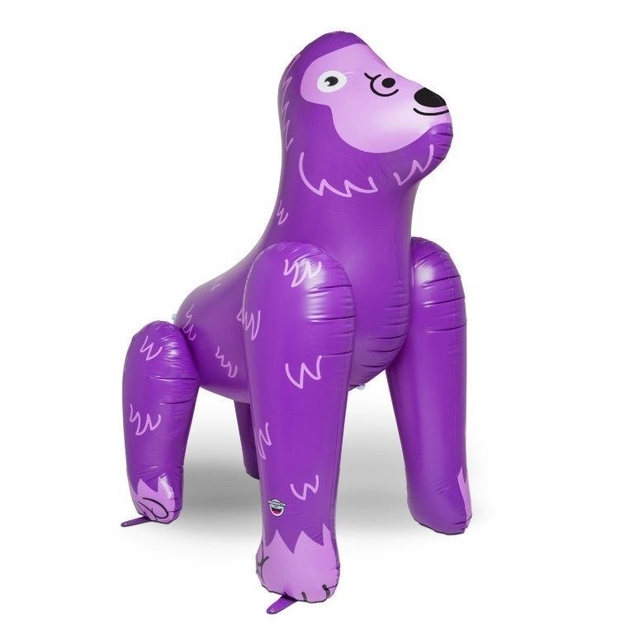 The inflatable design also means that it’s lightweight, easy to move, and deflates for compact storage in the off-season. Party saved!